It pays off to pay attention to the discussion going on at the Donation Coder forum. A one year old thread was reactivated with the information that ZoneScreen was updated recently adding 64-bit support to the amazing computer program that can extend the desktop display using displays of other computers. ZoneScreen offers two possibilities. The first is to mirror a computer desktop on another computer while the second extends the screen of the first computer. The only requirements are at least two computer screens and a network connection between the two computers. The software developer provides download versions for most Microsoft operating systems beginning with Windows 98 up to Windows Vista and even a Windows Mobile 2003 version. So what could you possible do with this? 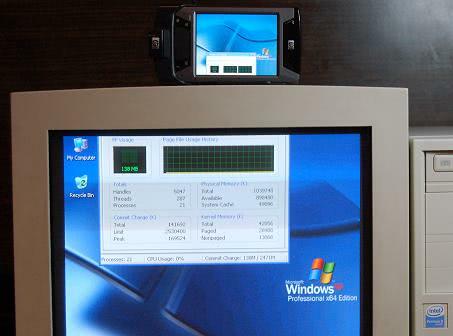 It would be possible to run an application on a Pocket PC next to your PC, for example the Task Manager or an email program which would still display information while using another application in full screen mode. It basically works by running ZoneScreen in server mode on the main computer and in client mode on the other computer. The data that is send over the network is not encrypted which should be taken into account when using ZoneScreen. For some reason, I am only able to mirror the display and can’t extend the display. The help file is not clear on this either. in order to use the extended screen feature, you need to go into your display settings and activate the zonescreen virtual driver. 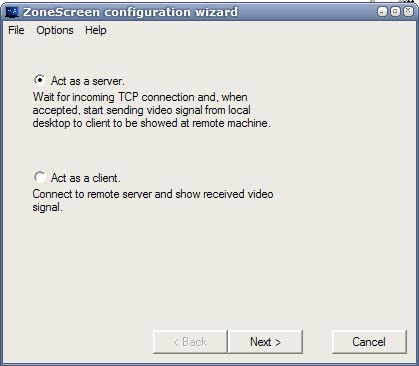 check “extend desktop to this screen” and go back to the zonescreen configuration window. there should be an option to choose display one, and whatever display number the virtual driver is. select the virtual driver, and you should be set. @ George, RE: Maxivista – there is a significant difference. Zonescreen is free, and although MaxiVista may have minimally better performance, it is not free, in fact, it costs more then the video card (even USB ones for laptops) that would render it unneeded. And both software solutions, while good for those who have their expectations in line, have far inferior performance than even the crappiest USB video adaptor (let alone a cheaper, internal card for a desktop). Of course you won’t see that in their marketing material. I suppose if I would have thought of it first, and people still gave me money, I would not be honest enough to go free. My first PC is a laptop with Windows 7 – 64 bit and my second is a laptop with WIndows XP 32bit. There seems to be a lack of information on how to get this program up and running for novices like me. Can someone make a basic step-by-step guide on this?